I have been reading studies, attending training, experimenting with, and writing about transcranial direct current stimulation (tDCS) for about two years now. Needless to say, I am enthusiastic about what tDCS can do for many people who use it for depression, chronic pain, enhanced creativity, and memory. It may also may have positive effect for other important conditions such as stroke, Parkinson’s and Alzheimer’s – there are certainly studies that show that to be the case. Given that it has positive effect on many who try it, it could improve the quality of life of millions of people around the world. All of this without drugs, without the cost of drugs, and with no significant side-effects. every appropriate medical practitioner (and counselor) would at least become aware of tDCS. A treatment this good, this simple, this safe, with so much positive effect should not be overlooked. It should be a tool in the kit of considered-treatments for every practitioner. that the popular press would at least make an attempt to write sensible and factual articles about tDCS. 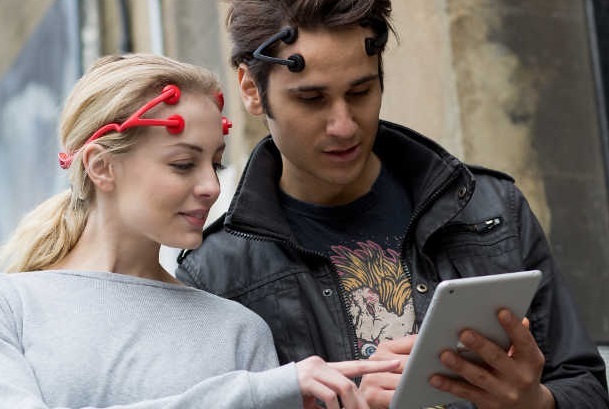 For example, it would be great to stop comparing tDCS to electro-shock treatment. Could they be any more different? Such mindless hype scares people who might be helped greatly by tDCS. that funding could be found to “get the word out” about tDCS. Because there are no drug company $ billions for magazine ads, TV commercials, and infomercials, it looks as though tDCS will always be a niche treatment, known by a lucky few – missed by millions it could help. I wonder how many lives could be vastly improved (or saved) if tDCS were as well-known as Viagra? that I could find one or more well-known, depressed, troubled Hollywood star(s), known for appearances in People Magazine and on TMZ – who would agree to a course of tDCS treatment. Once improved, those stars would have to be willing to speak about tDCS – the treatment that got them out of the pit. For better or worse, we live in a “star” powered society – such articles appearing in Hollywood rags and read and seen by millions could really help push tDCS towards a tipping point. that my second career be all about researching, writing, and speaking about the practical side of tDCS. There is a whole world full of people who need the help that this simple treatment can offer. A tDCS device can be as simple as a 9 volt battery, an inexpensive CRD diode, and a couple of sponges. Imagine the good that could be done! that I could find one or more philanthropists willing to join in the good work related to tDCS – and help a whole lot of people in the process! There are $ millions of research dollars flowing to universities and research centers all around the world looking at tDCS. But there is very little being done to get tDCS to the people who can benefit from it. If you are a philanthropist who really wants to make a difference in a very tangible way, feel free to contact me. Let’s get something started! Mark the date. At this point, for certain types of treatment, tDCS is well researched, simple, and considered safe. We all know that tDCS is barely known among the masses and the medical community. Ask any doctor you know – I’d say the odds are about 1 in 100 that they know anything at all about tDCS. What will things be like in 2018? By 2018, how many millions will have suffered for lack of access to a tDCS device and a tDCS trained professional? Can you help?